Update: the programme is available here. 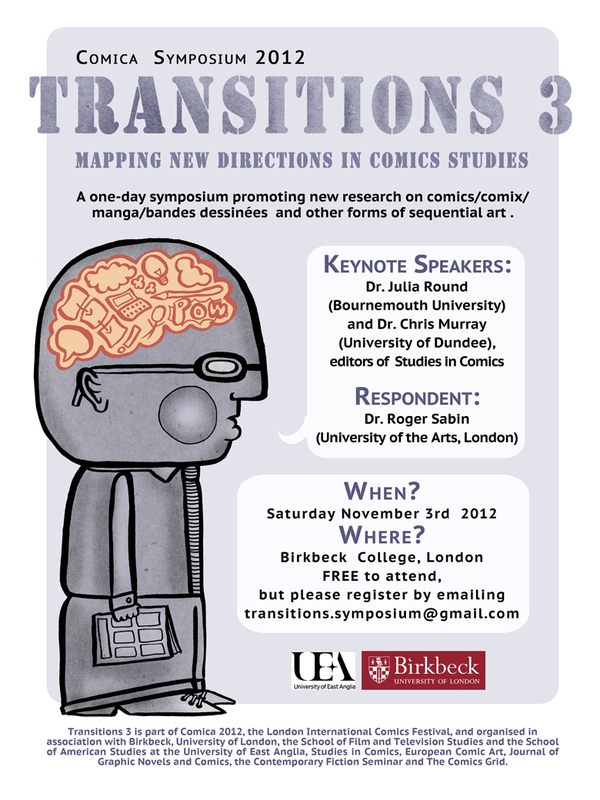 On Saturday the 3rd of November 2012 I’ll be at the Comica Symposium 2012 – Transitions 3: New directions in comic studies at Birkbeck College, University of London. I’ll be chairing the second panel, titled “Contextual Convergences”, from 13.30 to 14.50 hrs. Transitions is a one-day symposium promoting new research and multi-disciplinary academic study of comics/ comix/ manga/ bande dessinée and other forms of sequential art, now in its third year. For more information click on the poster below or the link above.